Your resume needs to communicate the value you can add to a company and show your unique qualifications for the positions to which you apply. In order to stand out from the crowd, you don’t want to use the same kind of hyperbolic language that 50 other candidates have adopted in a vain attempt to rise above the competition. If the words you choose in your resume weakly represent your individual talents and work experiences, take them out! Now compare the above list with the following “action” words and phrases. You may even be able to sense the difference as you review the list. The second list of phrases is much more compelling because the descriptions use action words while telling a story of your accomplishments. Unique talents and skills are described in a meaningful way that also makes the reader want to learn more about you. 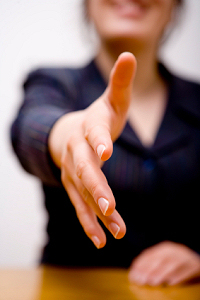 Building that interest is a key factor in obtaining an interview. Both the resume and cover letter should be like a good book: hard for the hiring manager to put down! Don’t consider the words in the first list as off limits, but be strategic if you choose to include them in your resume. To be strategic, you have to back the words up with specific examples. With this approach, you can think of the two lists an à la carte menu, taking an item from list one and supporting it with an explanation from list two. But only use them in tandem. Using the first list alone leaves the reader thinking the words sound too good to be true. Without an explanation of the specific accomplishments associated with each of those list-one superlatives, the phrases will be seen as less than accurate and the reader is unlikely to want to know more about you. Another factor to consider is whether the words you are using to describe yourself are assumed in most candidates at your level. Consider examples such as “highly motivated” or “dependable.” Not only can these general descriptors take up valuable resume space, but they can also sabotage your first impression because they are considered so basic. You also want to avoid words that might indicate you are putting a spin on your experience or a job gap. For example, candidates who may be worried about their age often use “seasoned” or “energetic” to describe themselves when their real concern may be that they will be perceived as too old or too young. Or if you had to be out of the job market to care for an ill family member or due to your own medical issues, be upfront about it. Don’t suggest that you were attending professional development when you were actually in the hospital. Finally, use industry specific keywords whenever possible, but avoid using jargon. Keywords not only emphasize your familiarity with the field, but can also help bring your resume to the top of a search conducted by electronic scanning. For example, did you expand marketing efforts to include “social media?” What about “continuous improvement” measures? Be certain to include relevant keywords throughout your resume.